Our moving company is proud to now offer professional cleaning services for you move-in and move-out needs. Our rates for cleaning are $50/hour. One less step for our customers to do. You can find one place that does it all! We also offer paper shredding and removal of unwanted items. Move-out cleaning service. Are you looking for the cheapest movers? No receipt or take cash only. If you are moving for job purposes, you want to get a receipt for tax deduction. Have hidden fees once they are loaded with your belongings. Some moving company are shady and does not care about stealing money from their clients. Once they have your shipment or once you sign the bill, they will gladly add hidden fees such as stairs fee, big items fee, etc. This is the most common things about cheap movers. So don’t be fool by their rates and do your homework. You have to look for their reputation or complaints online. Mid range price movers often offer the best value. We are now one of the best reputation movers Edmonton and we are still mid range price! Take advantage of it! New Trucks! Canadian Moving Services just acquire a newer moving truck. As growing moving business in the Edmonton area, we serve more customers each year. Our trucks are getting older too! 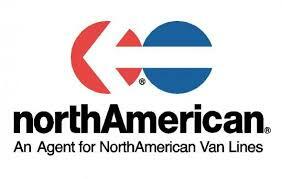 We just acquire another more recent moving truck in October to serve you better. It is a long 28 ft truck with an attic over the cabin equipped with a curb side door. This moving truck can accommodates house moving or large apartment moving. We also provide office movers, office moving in Edmonton and Sherwood Park. Movers in Edmonton with 5-stars rating! Over the past months, we had so many satisfied customers who let a review on our Google page impacting directly on the Google organic ranking. We received a lot of calls from customers saying they want to book with us because we have the best reputation and very good rates. The Edmonton moving industry is not regulated and there is a lot of movers who does not takes responsibility for their damages to customers belongings. This is what set us apart from others. We have as of today 17 five stars reviews on Google. Thank you to our clientele for their patronage! We just received tons of moving supplies with our logo on it! We will get a Groupon going on for discounted moving supplies in Edmonton. We will sell it at the cost price to help customers get boxes at an affordable price. Are you moving In or around Edmonton soon? Come and get the Canadian Moving Services quality supplies! Moving supplies Edmonton. ALERT Mover Brand Hijackings: Brand hijackings are on the rise. Rogue movers are putting reputable moving company brand names in their online listings and ads. Always verify a mover’s stated affiliations before you hire them. Read CAM’s press release Canadian Association of Movers Warns Public about Brand Hijackings (PDF 24Jan2017). Some examples follow. Two Men and a Truck in the Kitchener/Waterloo area as advertised on Kijiji is not TWO MEN AND A TRUCK®. Two Men Trucks Moving Company – Toronto, ON (note: this is not TWO MEN AND A TRUCK®). Please see the attached PDF. The following companies have implied a relationship with the Canadian Association of Movers, either by displaying the CAM/ACD logo on their websites or by suggesting that they are CAM members. These companies are NOT CAM members and we recommend that you carefully check their claims. Ferguson Moving & Storage – Vancouver, BC. With the summer season at our doors, we start receiving more calls and bookings. Click here to get a quote. But be careful who you hire! Edmonton movers get busier! Read about this story from the Canadian Association of Movers. – “I thought I’d hired a reputable brand-name company for my move but that’s not who arrived on moving day.” That’s what consumers have been telling the Canadian Association of Movers (CAM) recently when they call to complain about their terrible moving experiences. In the last several months, CAM has received many complaints from consumers and credible movers about rogue businesses representing themselves as reputable moving companies to the buying public. Consumers are being led to believe they’ve hired a professional brand name moving company but another company shows up on moving day, when the consumer has no choice but to proceed with the transaction. The experience usually ends up with the consumer’s goods being held hostage for more money, delivery delays, and losses or damage to treasured possessions. • They are using brand names of reputable moving companies in their search engine advertising to mislead consumers — this is called brand hijacking. • They are operating under names that are very similar to well-known brand names of reputable moving companies. Canada’s long standing van lines have been especially victimized by the rogue businesses. These traditional van lines have built their reputations through years of delivering quality services to customers. These brand names signify trustworthy services at fair market value: Allied Van Lines Canada • Atlas Van Lines (Canada) Ltd. • Great Canadian Van Lines Ltd. • Mayflower Canada • North American Van Lines Canada • United Van Lines (Canada) Ltd. “The Atlas name has been hijacked numerous times in the past year by rogue companies,” said Atlas Van Lines President, Barry Schellenberg. “They are using our brand name and those of our competitors to get business. As an industry, we are very concerned about the number of people who are being scammed. Consumers need to be extra diligent as a good percentage of movers listed on a search engine are rogue companies.” Consumers can take four simple steps to help protect themselves from these unscrupulous companies. 1. Check out a prospective mover’s reputation with CAM. As Canada’s association for the moving industry, CAM promotes quality services by reputable movers who have established themselves as credible, reliable companies who adhere to CAM’s strict code of ethics. 2. Verify any logos, identifiers or affiliations being used by the mover to ‘sell’ their moving services. If they promote themselves using the brand of a trustworthy organization, consumers should verify it with that organization. 3. Avoid online quotes or bookings with movers who do not show a business address or contact information other than a phone number. The quotes often come from one company operating under multiple names. Rarely are they legitimate movers with trained workers and professional equipment. 4. Contact the local Better Business Bureau, for references. Movers can take some steps to protect themselves and their brands from these fraud artists too. A mover should periodically search for their company name on search engines. If they find linkages to companies other than their own, they should report the fraudulent activity to the search engine’s Trademark Violation division. Movers should also display any legitimate identifiers they are entitled to use — in their correspondence, website, sales tools — to separate themselves from the rogue element. Sales staff should be trained to encourage their customers to validate their affiliations, as well as those of their competitors. They should also contact their legal representatives to ensure their brands are registered and adequate protections are in place in the event of fraudulent use. About Canadian Association of Movers (CAM) Consumers can contact CAM for assistance in finding an ethical moving and storage company that will provide professional moving and storage services — a mover that subscribes to CAM’s code of ethics, meets CAM’s business standards and commits to mediation in the unlikely event of a dispute. Follow Movers Edmonton on our Youtube channel! Check out our corporate videos by clicking here! The best Edmonton Sherwood Park Movers just bought a land in Strathcona County to expand the business. This land is to live and build a warehouse for the activities of our other company Flying Dutchmen Movers. The clients who need cold storage would be serve at a unbeatable price. I'd give 10 stars if I could. We received excellent and fast service. The crew of Herman, Marcus and Mitch were pleasant, friendly and funny. They were extremely careful with all of our furniture.